ISOMAG Electromagnetic Flow Sensors are available in economical wafer style, flanged style, sanitary and insertion. ISOMAG converters provide display and programming as well as a variety of I/O options for interfacing the flow meter with your process equipment. 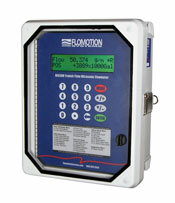 The BE6300 transit-time flowmeter installs in minutes. A pair of rugged transducers mounts easily to the outside of the pipe using standard clamping straps. 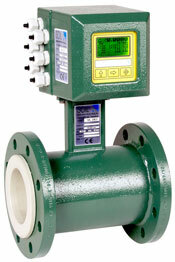 The transducers are non-intrusive, therefore there is no pressure drop or flow obstruction. The advanced microprocessor utilizes the latest in ultrasonic direct time measurement with a resolution of 0.2 nanoseconds. Coupled with state-of-the-art data processing the BE6300 provides a high level of linearity.